Rent our Beautiful Venue for your Special Occasion! For any occasion; from a wedding, anniversary, birthday party or shower...to a corporate meeting, workshop, conference, community event, or class reunion, our event space and party venue is sure to please! 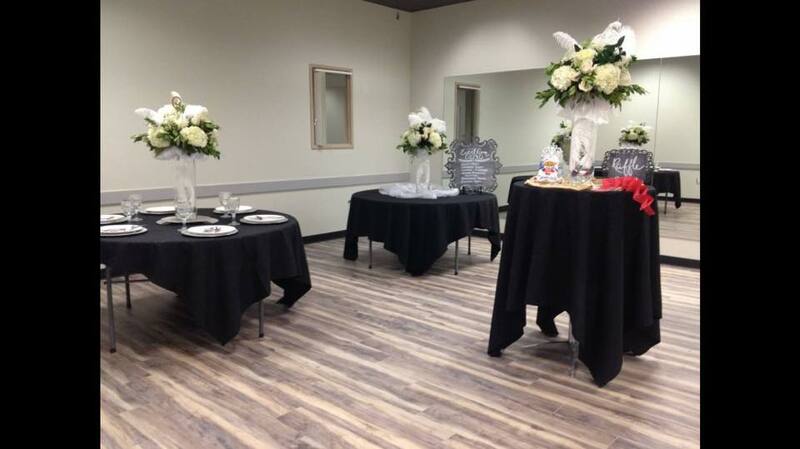 Groove Nation’s beautiful and versatile rooms are perfect for many different occasions! Our entire facility can accommodate from 50-500+ guests. We are the perfect place for your party! Looking for the perfect site to hold a business meeting? Groove Nation has large rooms and small rooms to meet any size gathering; corporate meetings, workshops, conferences, and community events. Entrepreneurs without a professional space to call your own? Our largest room at 3500 sf. 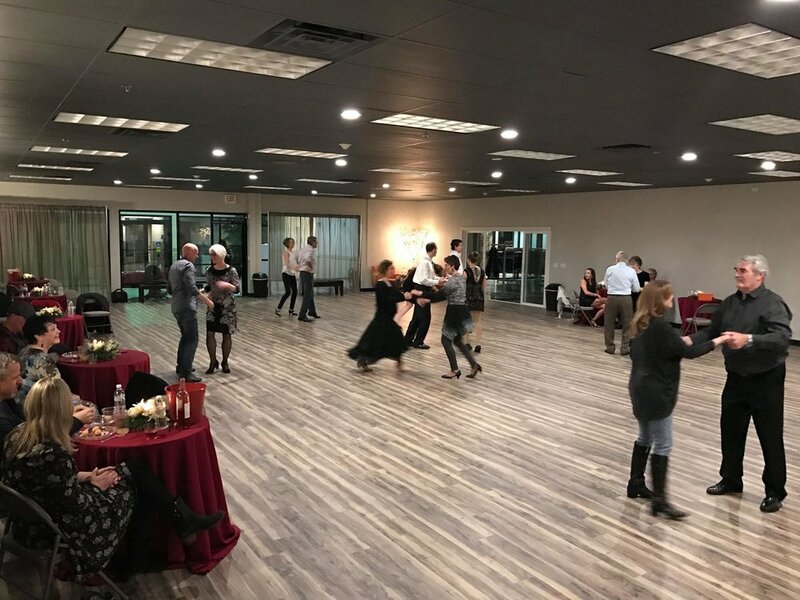 This spacious area is filled with natural light from two full walls of windows, complete with beautiful floating wood floors perfect for dancing. Completely versatile, this room can be transformed from a wedding reception dance hall into a corporate meeting room, or even a performing stage! Examples of our Event Hall in action! 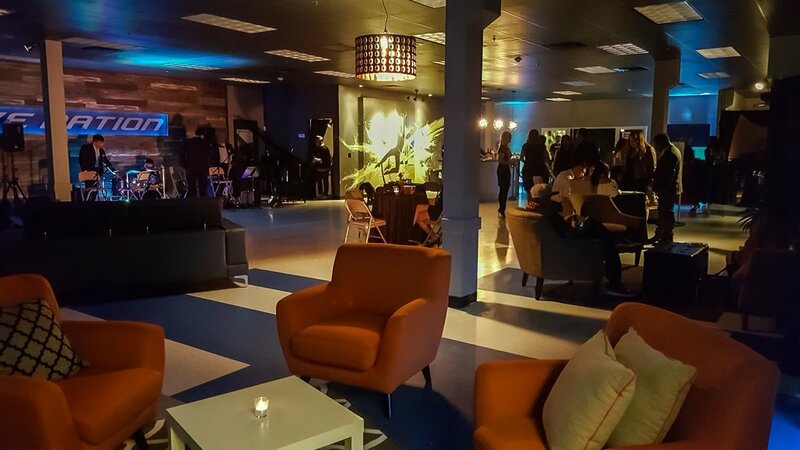 Our extremely versatile lobby makes a great addition to any party! Create a proffesional atmosphere the instant your guests arrive! $350 Deposit required to reserve space. Catering, DJ services, TVs, DJ lights, business setups and many other accommodations can be met. To book your event, let us know what your needs are by submitting the form below. 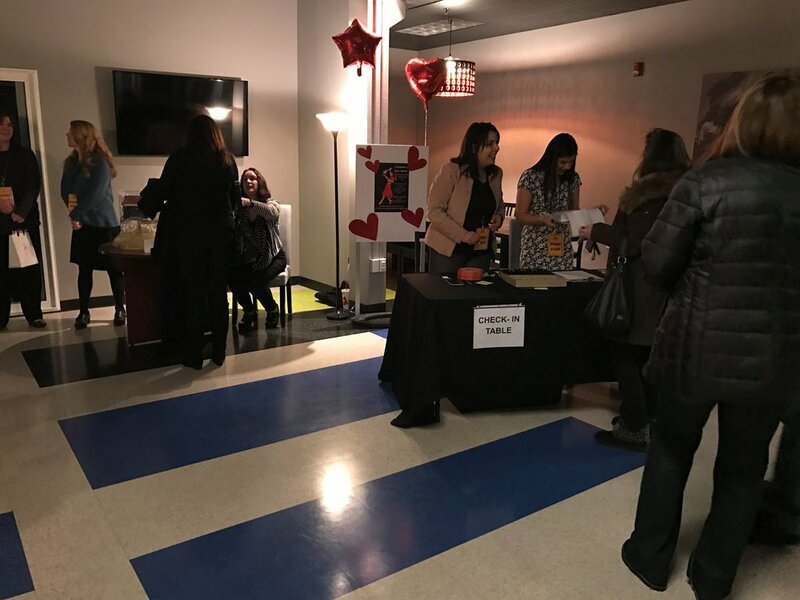 Is the event for kids, adults, or families? Would you like information about adding one or more of these services offered through GN's Preferred Vendors?